BOOKMARK THIS SITE FOR REAL ESTATE, SCHOOLS AND SAN DIEGO INFO! serving University City, La Jolla, and other San Diego Coastal communities. Finding the right home can be a difficult process. However, with our 25 years of experience in the area, we can provide you with the knowledge and resources necessary to simplify the buying process.From neighborhood information to tools to estimate your mortgage payments, and buyer tips and articles that will help you through the home buying process, let us put our experience and track record to work for you. In today's ever changing real estate market, you need the marketing programs and experience of a qualified residential specialist to assist you in selling your home quickly and at the right price. Learn more about my service, see information about recent home sales in your neighborhood, or contact me to get started today! We would be pleased to furnish you with an analysis of your property and a marketing plan that would assist us in finding that perfect buyer. Local up to date knowledge of your community and top of the line service makes TEAM CREIGHTON of RE/MAX the go-to Broker for your best results. Would you like to set up your own property search with your individual parameters? Make sure you take advantage of the Home Tracker Function on this site. Go to Home Values to find and compare home values anywhere in San Diego, or just to see what is happening on your street! It's on this page! We will be happy to assist you with viewing the interiors, or any further information you may need on these properties. Just go to "Request More Info" at top of this page. Thank you for visiting www.DavidCreighton.com! 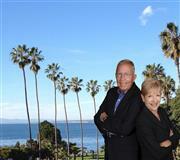 This is a one-stop real estate website for all your home buying and selling needs in the San Diego Coastal area.Melody and I are long time local real estate agents who will help make your search for a new home an enjoyable experience. We have lived and worked in the Golden Triangle-La Jolla area for over 25 years, and want to put our experience to work for you. Please feel free to contact me directly if you have any questions about the San Diego real estate market, or buying or selling a home in this beautiful area.